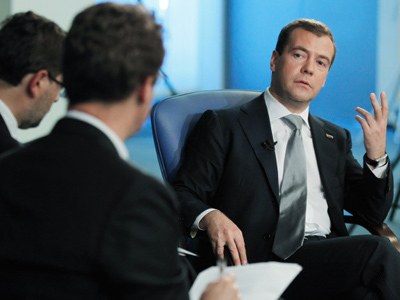 The Russian press is chewing over President Medvedev's latest extensive interview, where he explained his withdrawal from the upcoming presidential race. He said Vladimir Putin's high popularity level makes him the best man for the candidacy. ­The president’s interview with the heads of Russia’s three biggest TV networks – ORT, VGTRK and NTV – focused on some of the most important recent political events in the country, including his decision not to run for a second term in office, his recommendation of Prime Minister Vladimir Putin for the top political post, as well as the sacking of erstwhile Finance Minister, Aleksey Kudrin. 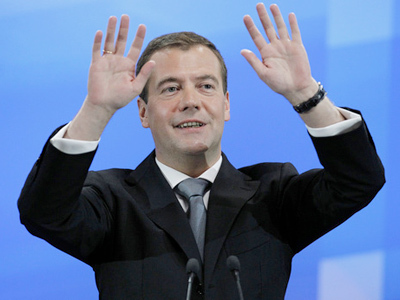 Medvedev slammed those who take the view that the election process is becoming meaningless in Russia. The interview is the talk of the Russian press, with Saturday morning’s newspapers filled with comment, analysis and diverse opinions on the issues covered. 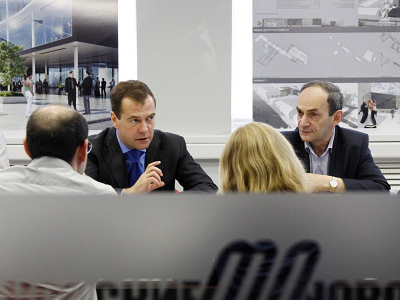 The Kommersant newspaper cites analysts who believe that even though Dmitry Medvedev has outlined his political plans and those of his “tandem” with Prime Minister Putin, there are still many uncertainties. 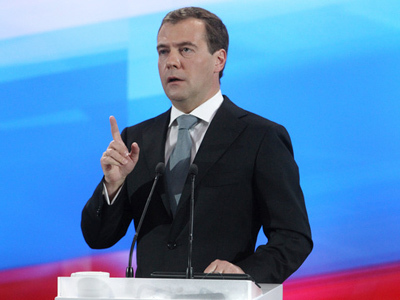 So far, neither Putin nor the United Russia party, whose electoral lists are expected to be headed by Dmitry Medvedev at the upcoming parliamentary vote, have come up with official political programs. This view is not shared by analysts cited in the Izvestia newspaper who insist that Medvedev’s announcement has finally closed the list of main players for the upcoming presidential poll in March 2012, and therefore, the electorate will now have a clearer picture of what is going to happen. Political analyst Vyacheslav Nikonov says even though President Medvedev and Prime Minister Putin are members of the same team, they are not political clones. 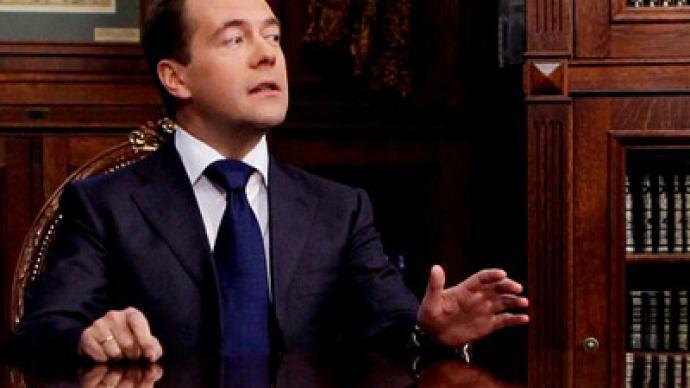 At the same time, Nikonov added, Medvedev will retain his position as an important political figure, remaining a potential prime minister and a front-runner to lead the United Russia party. “This makes him a politician with great perspective in the future,” Nikonov concluded. Extensive attention is also drawn to the president’s decision to sack his finance minister. Kudrin has been widely regarded as a key minister in Putin’s government and a top-class professional, whose expertise was considered particularly valuable at times of past and present global financial turmoil. Kudrin was fired after he said he did not see himself in the future cabinet if Dmitry Medvedev becomes the next prime minister, due to disagreements over budget priorities. The president said his determination to continue with his current policies if he becomes prime minister was behind his decision, and experts believe his move to sack Kudrin proves that he is ready for some rough measures in order to achieve this. 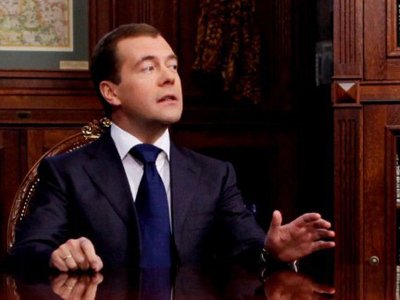 According to Dmitry Babich, a political analyst at the RIA Novosti news agency, Dmitry Medvedev perceives himself as a part of the “state machine” – a machine whose work the former finance minister’s statements could have obstructed. Others disagree, saying that the sacking of Aleksey Kudrin was a sign of unpredictability and raises more questions as to what could happen while Dmitry Medvedev is still in office.